Courtesy of The Galeana Group. 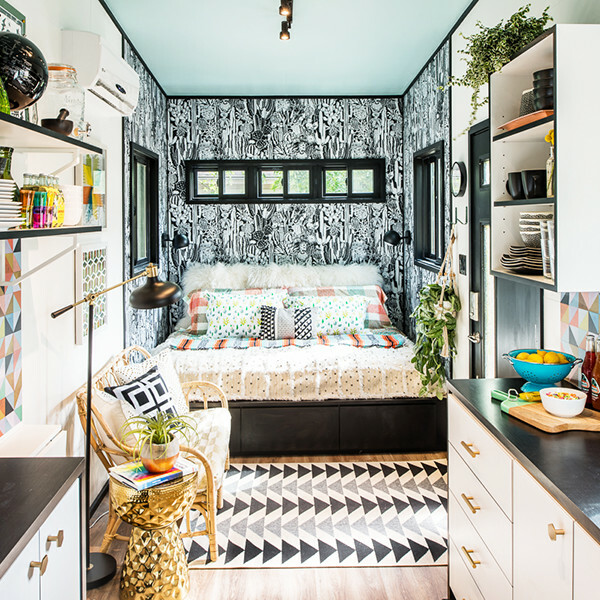 When tasked with decorating a tiny home, interior designer Galeana Younger was so ready to take on the challenge. "I run a full-service residential firm, but up until earlier this year, I had never designed a tiny house," says Younger. "Nonetheless, I was very enthusiastic about this project." 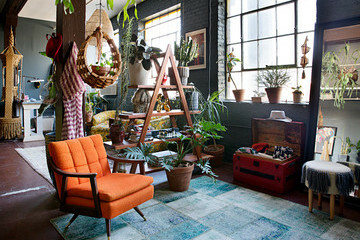 Since the space is a rental rather than a full-time home, Younger was freed up to have a bit more fun with the design. "For the purposes of my project, I wasn't faced with the day-to-day realities of living in a tiny house," says Younger. "Nonetheless, I still had to think about it from a functional and hospitable perspective. 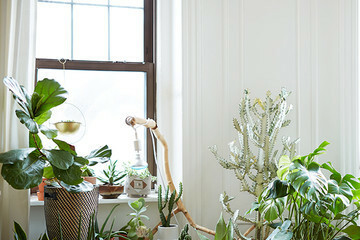 How could I create a well-designed, comfortable, and interesting space that lots of different kinds of people could enjoy?" The result? A maximalist abode with mid-century influences and the ability to sleep up to four people. Click ahead to explore the small, but mighty home and learn more about the design process.